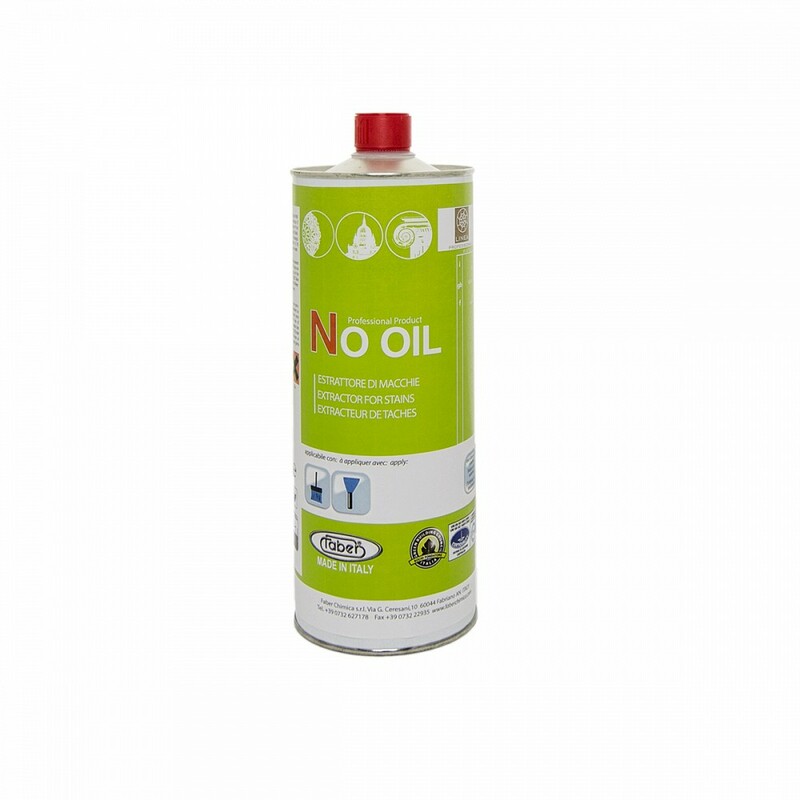 Product to remove deep penetrating oil stains, grease and greasy residues. Sorry, purchases are temporarily disabled for maintenance. Please check back soon. – Greasy stains and bituminous residues. NO OIL is a product that can be applied on all surfaces – even the most delicate types such as polished marbles and acid-sensitive finishes – without attacking them or causing them to lose their shine. The special thick, creamy formula of NO OIL boosts its stain-extracting action, guaranteeing improved efficiency in terms of stain removal. It is also easy to use and effective on vertical surfaces. Once applied over the stain to be removed, the product works alone without needing any further processes, until it completely removes the stain. NO OIL is quick and easy to apply, and its use will not alter the surface’s original appearance.